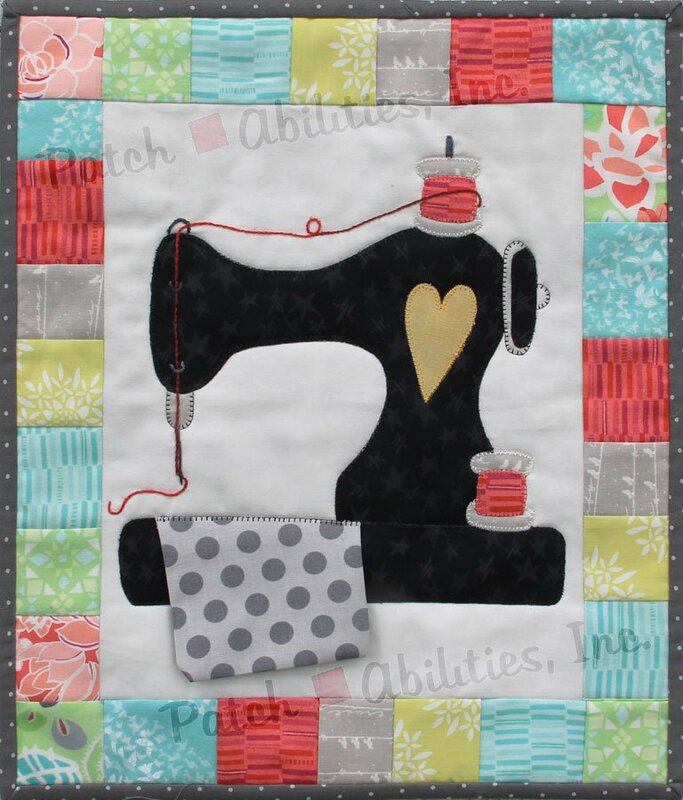 Quilted wall hanging patterns with a quilting or sewing theme. 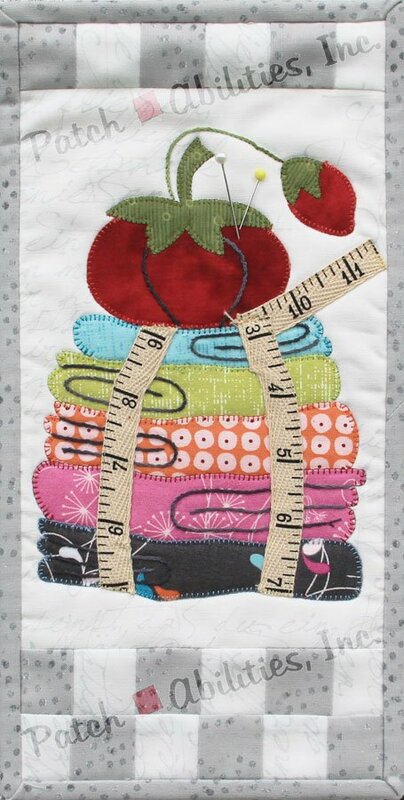 Patterns feature fusible applique technique, using a sewing machine. Our applique shapes are created with the machine applique technique in mind, keeping our pieces simplified so that even the greenest beginner can make it great without getting frustrated.